Let’s get through Monday and heading to Philly soon! Good morning and Happy Monday! Hope your week gets off to a great start. Two weeks from now, I will be heading down to Philadelphia with some family and friends. 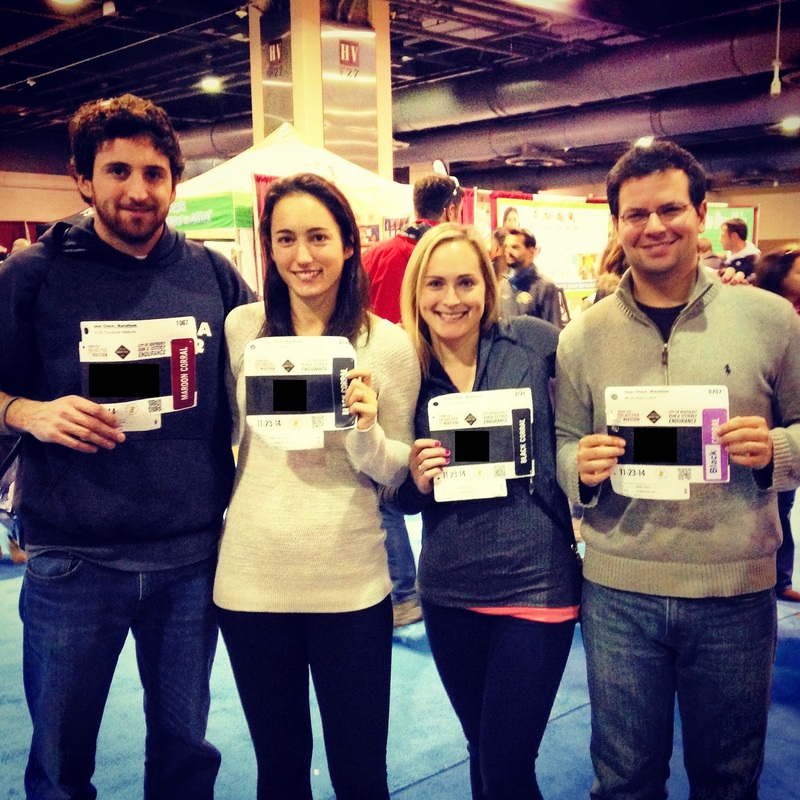 My sister and cousin are running the Philly marathon, and I am going to cheer them on! I’ve run the Philly marathon three times- in 2011, 2012, and 2014– and just thinking about the race brings back many happy memories. 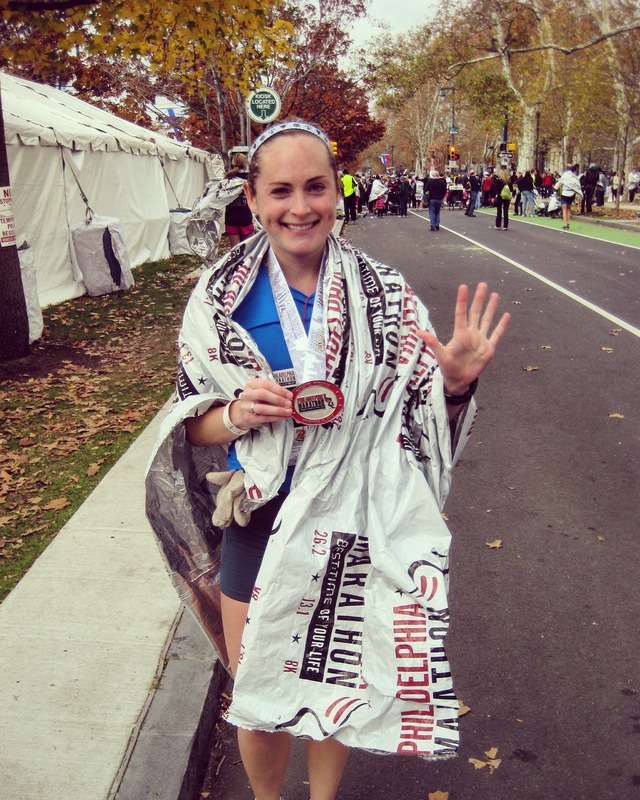 Philly marathon was my second fastest marathon finish (2011 race), as well as one of my slowest finishes (2014 race). Yet in the three times I have run the race, I learned so much and enjoyed it every time. This marathon is great for a PR. The course is relatively flat (with the exception of some moderate hills between miles 7-10 (University Park areas and West Philly zoo/memorial) and 19-22 (Manayunk area), but the race falls in the time of year for ideal race temperatures. In the three years I ran the race, temps ranged from the 40’s to low 50’s—ideal for a great time. Given the timing of the race, training starts in the summer but the majority of the long runs will be in the cooler September/October months. The race has great spectator support. There are sections of the race where spectators are more sporadic – through the park prior to the halfway mark and along the schuylkill river miles 15 to 26.2 (with the exception of lively Manayunk). However, the out and back course layout enables you to see the elite runners pass by, which is especially motivating for me. Race day is held the weekend prior to Thanksgiving holiday, allowing you some nice rest (and food!) for the week following the race (week zero). The city of Philadelphia has a lot of great food options- we have always eaten very well pre- and post- race! Spending a weekend in Philadelphia before the holidays is special time. The city is decorated and festive. There are plenty of hotel or airbnb options close to the race course. We’ve always stayed downtown and have been able to walk to the start of the race (and crawled back post-race). Super convenient! Race logistics are organized, with pacers as well as adequate hydration stations throughout the course. I am disappointed to not be running Philly this year, but am really looking forward to being a spectator this time around! I might jump in towards the end of the race to help pace her, but TBD. She is going for a BQ and I think she will meet that goal in this race! Stay tuned for a recap in a couple of weeks! Has anyone run Philly marathon? Any tips or tricks that you’ve learned from the race? Sounds terrific – I have a stupid question though – is a PR a Perfect Race? Not a stupid question! PR = personal record (same as PB, personal best). Have you run Philly Marathon/are you running in a few weeks? No, so far 5k is my longest run. I’m in the UK so unlikely to run in the U.S. any time soon (at least not until my kids are quite a bit older). 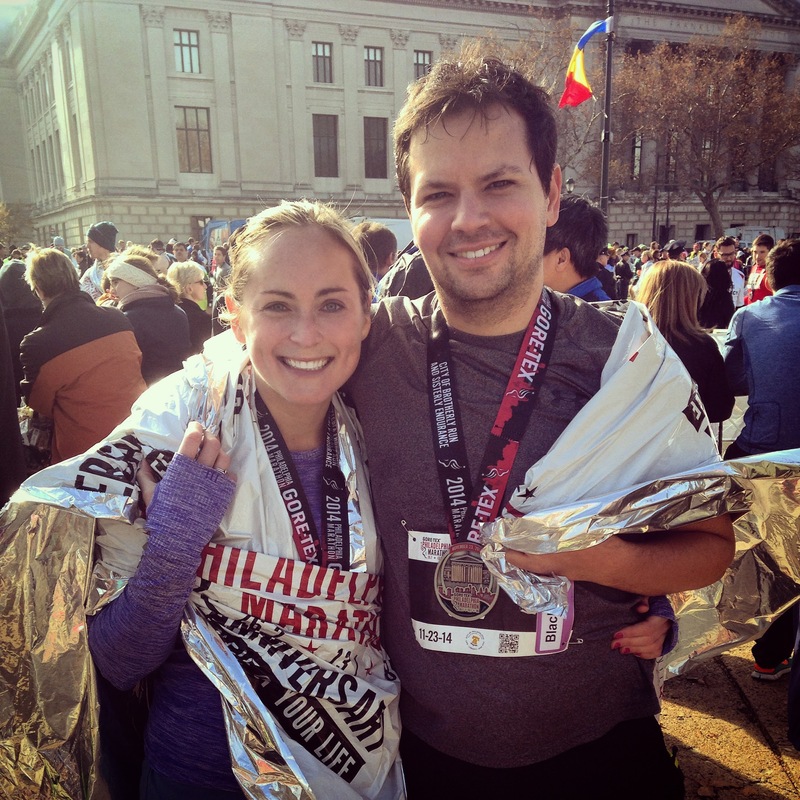 Philly is on our state list for PA…it was going to be our featured racecation for Fall of 2016 but our plans have changed as they are launching a new marathon event in Boise in late October, which is much closer for us. We are also evaluating a Florida trip in January of 2017 and can only fit in 1 long east coast trip in a given timeframe. We will look forward to Philly one day though!! That’s great! I highly recommend running Philly for PA, so maybe you can fit it in fall of 2018..seems so far away though! What are you thinking for FL? Miami and Disney are both great! Yes, one thing with planning races in every state you have to be able to look far ahead…I think we have our races planned through spring of 2017…and, yes Disney is what we are thinking and maybe one of the crazy challenges! Have you done those at all? I haven’t done goofy but would love to one day! Sounds like quite a challenge though :) Disney is a fantastic marathon- very fast, fun, and well run. I’ve run it twice now. Let me know if you have any specific questions! Awesome, yes Dopey is what we are thinking about as a potential crazy big event for early ’17! Will do on the questions, thank you!! Love Philly! One of my favorites– can’t wait, less than 2 weeks away!!! It ran it last year and I loved it. Perfect conditions and a great mix of flat stretches and hills. That’s great! We had perfect running conditions last year as well. Let’s hope they’re as good this year! Are you running again?